A few weeks ago when I posted this year's new Dior Christmas collection, I promised I'd show you what Or Divin looked like layered. 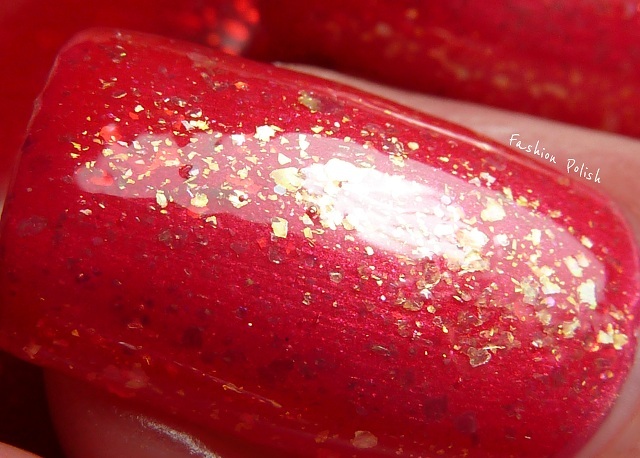 For this mani, I decided to use two coats of Dior Or Divin topped with one coat of a red jelly with flakies franken Magma and finally one coat of CND Sheer 24K Sparkle. I really love how Or Divin changes completely the color of Magma, the mani is really blazing. Magma is much darker on its own, I love it too but in a different way. So what do you think? 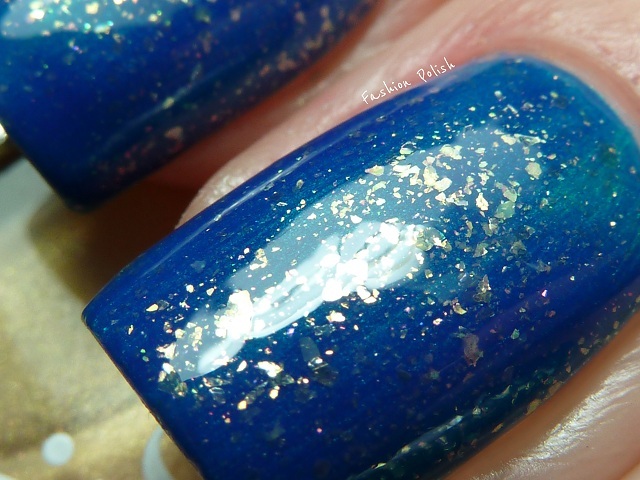 Have you ever tried layering a jelly over a shimmer? thanks bmwmchick! Yes, I need to swatch them too but the CND was untried so I figured I had to use it. 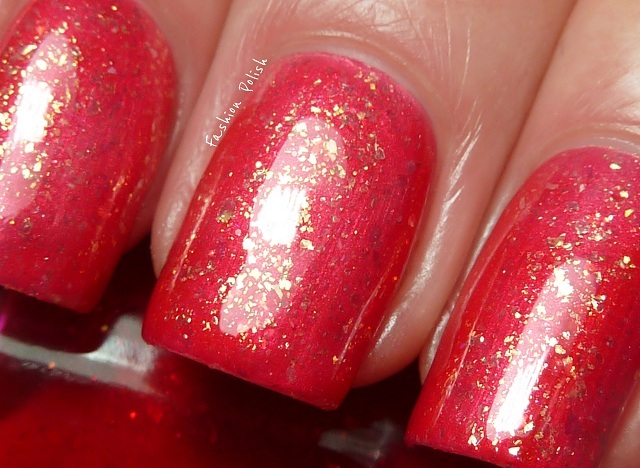 I love festive manis - these two are great! Oooh, pretty! I have Or Divin but I haven't worn it yet because I wasn't so sure that it liked my skin tone very much. I'm definitely going to try this with Or Divin and some of my jellies. wow, I love both combos!! I freaking love these!!!! I love them so much that I can't decide which version is better, they both rocks!!!! O.O That red mani is gorgeous!!! I love the blue too but the red knocked my socks off, lol! :D I really need to try this kind of layering. It looks amazing!